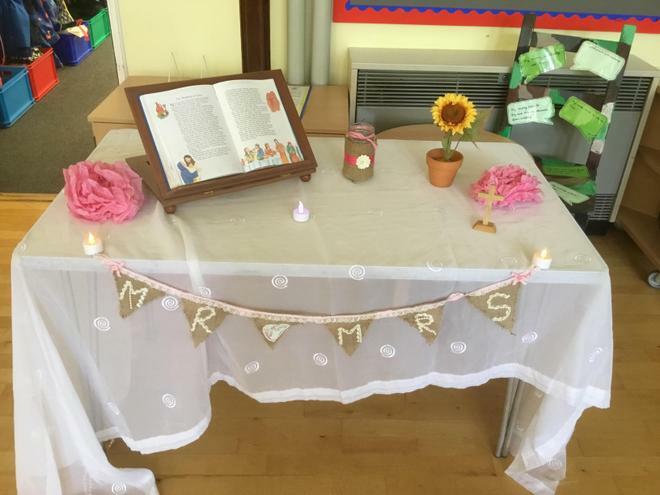 What a wonderful time we had celebrating the wedding of Betty O' Barley and Harry O'Hay. 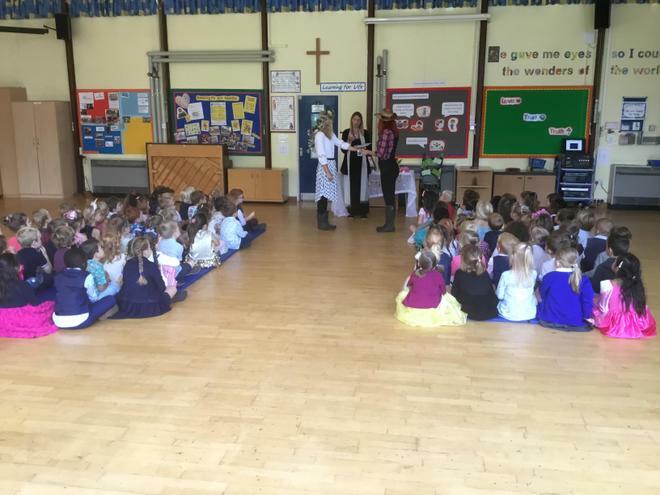 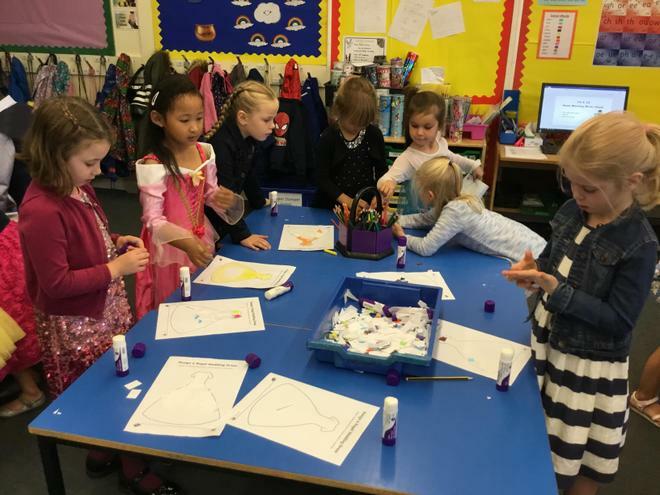 The children looked wonderful in their smart wedding clothes and we enjoyed a carousel of fun activities. 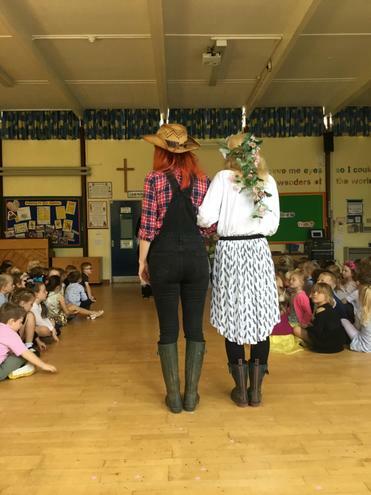 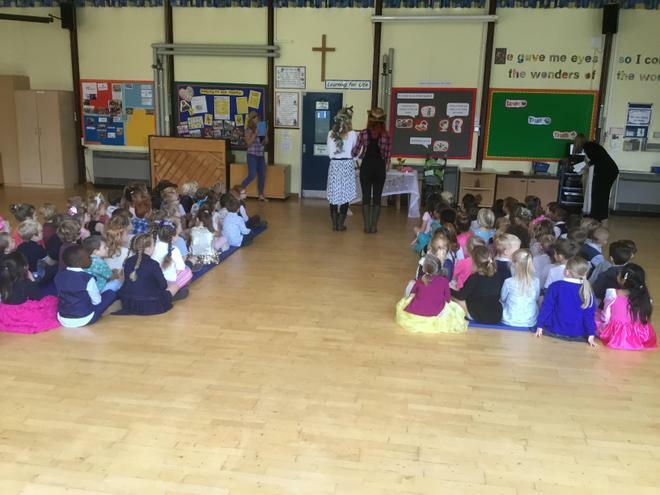 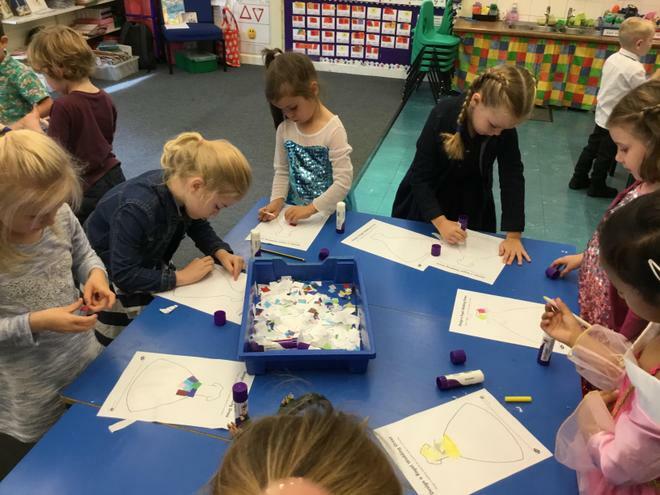 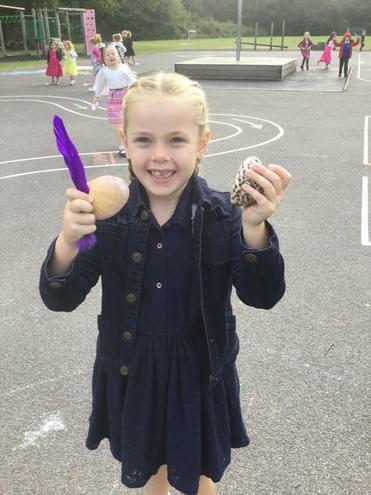 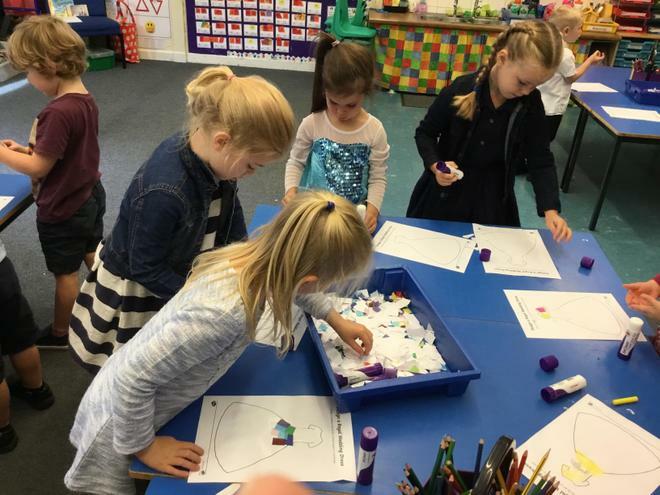 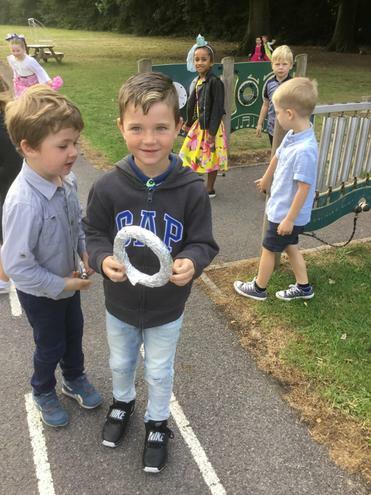 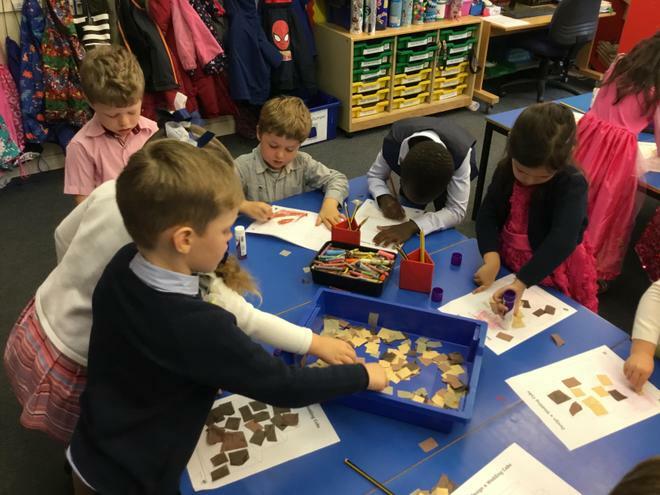 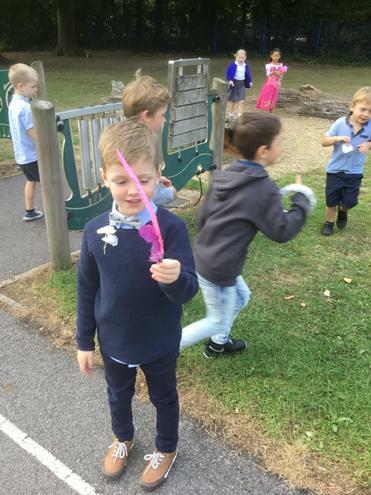 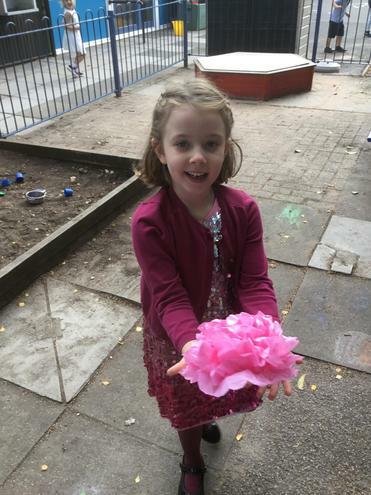 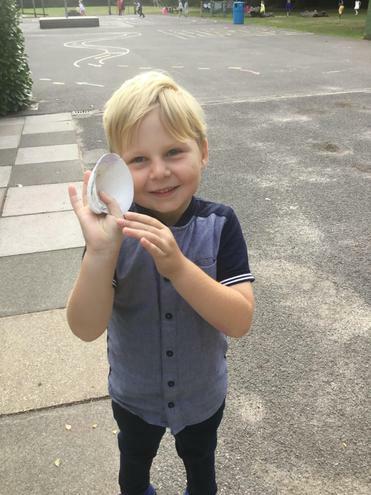 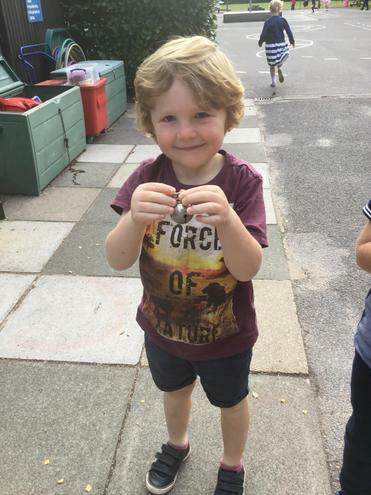 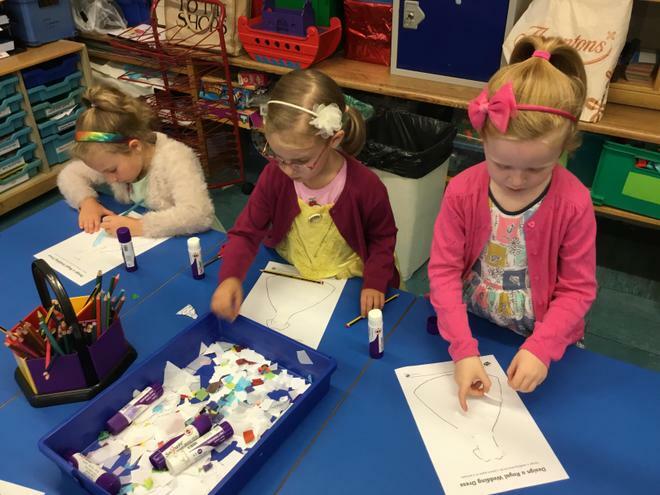 We had a treasure hunt to help Betty find all the things she would need for her special day, we collaged wedding outfits and cakes, and we listened to the whole story of the The Scarecrow's Wedding. 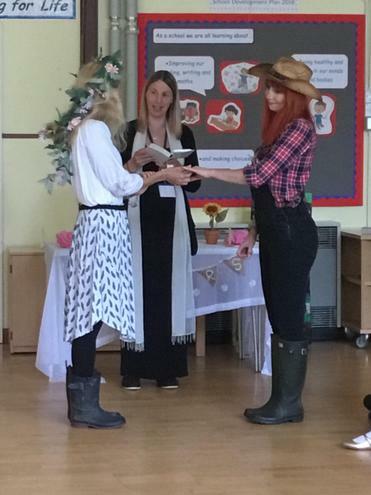 We assembled in the hall at 11:10 sharp to witness the wedding ceremony where Harry and Betty made special promises called vows and exchanged Haribo rings as a symbol of their promises. 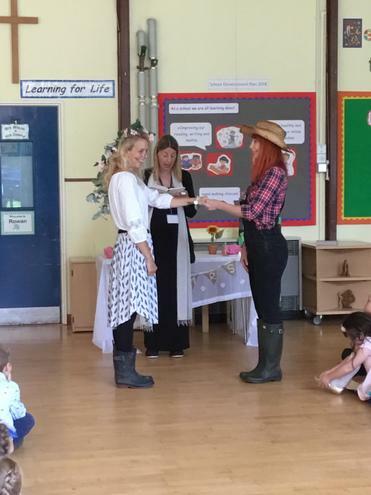 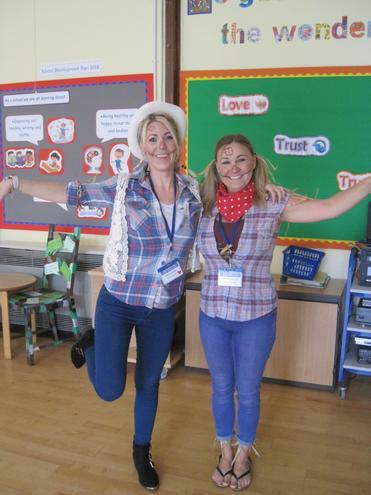 After the ceremony we enjoyed a banquet of delicious food and some wonderful scarecrow dancing. 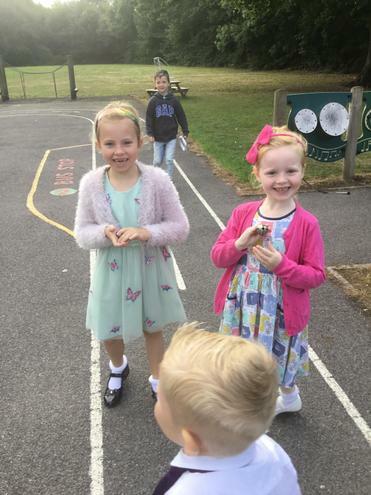 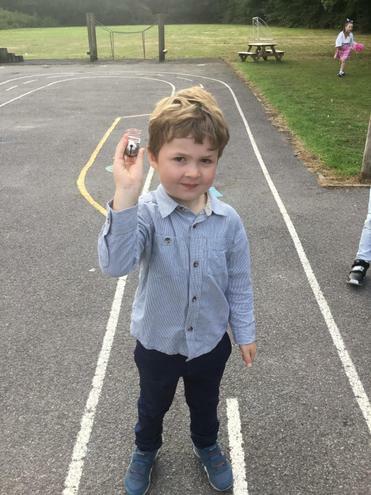 Thanks to all the parents for sending your children to school looking so wonderfuly smart. 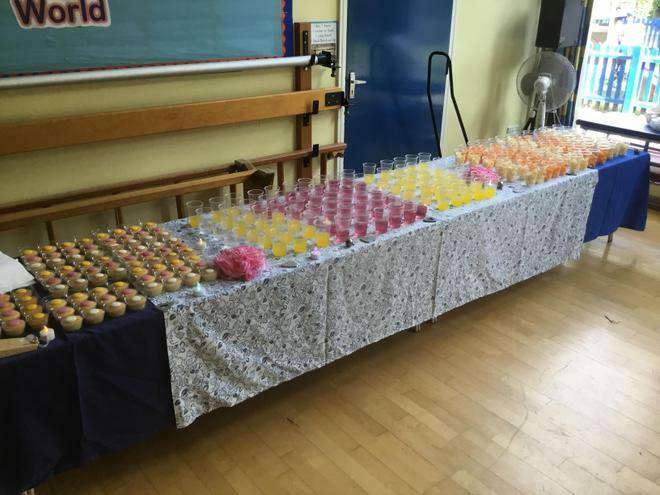 I hope you enjoy looking through the photos of the special day.